When will be Casablanca (1955) next episode air date? Is Casablanca (1955) renewed or cancelled? Where to countdown Casablanca (1955) air dates? Is Casablanca (1955) worth watching? Series based on the classic 1942 film that aired on a rotating basis with Kings Row and Cheyenne under the umbrella of Warner Brothers Presents. Charles McGraw starred as Rick Blaine, the role originated by Humphrey Bogart on the big screen. 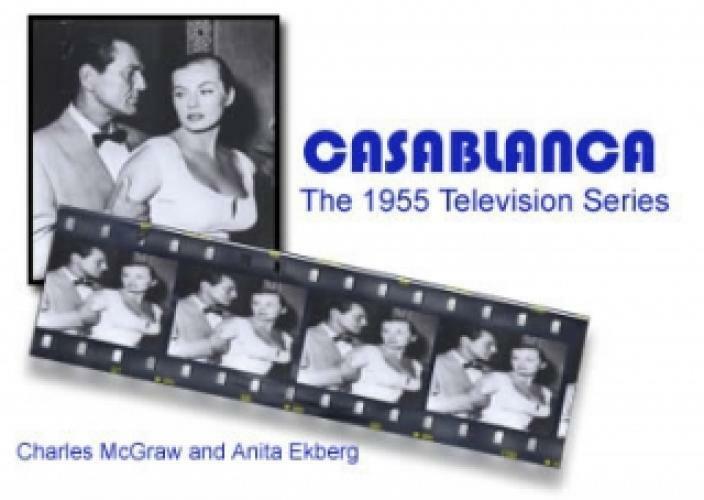 EpisoDate.com is your TV show guide to Countdown Casablanca (1955) Episode Air Dates and to stay in touch with Casablanca (1955) next episode Air Date and your others favorite TV Shows. Add the shows you like to a "Watchlist" and let the site take it from there.